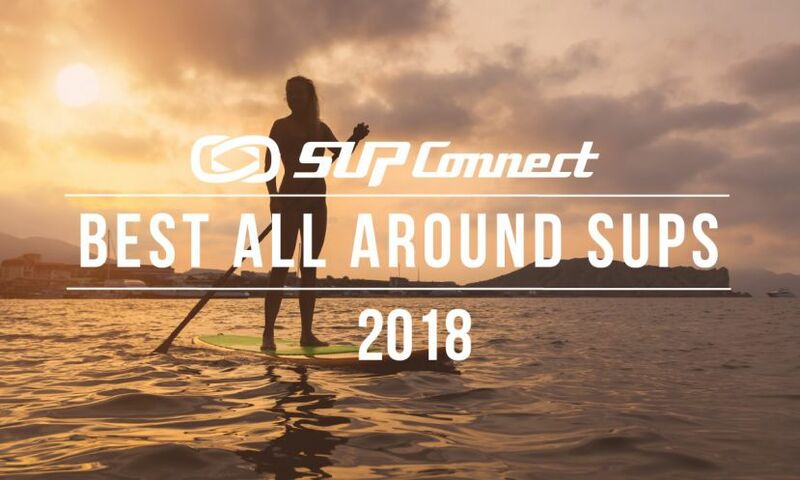 After personally paddling, weighing, and thoroughly testing 70+ boards, our expert staff has selected the best non-inflatable stand up paddle board 2018 models. These are designated by the "A" grade and organized by categories (inflatable, all-around, touring, etc). 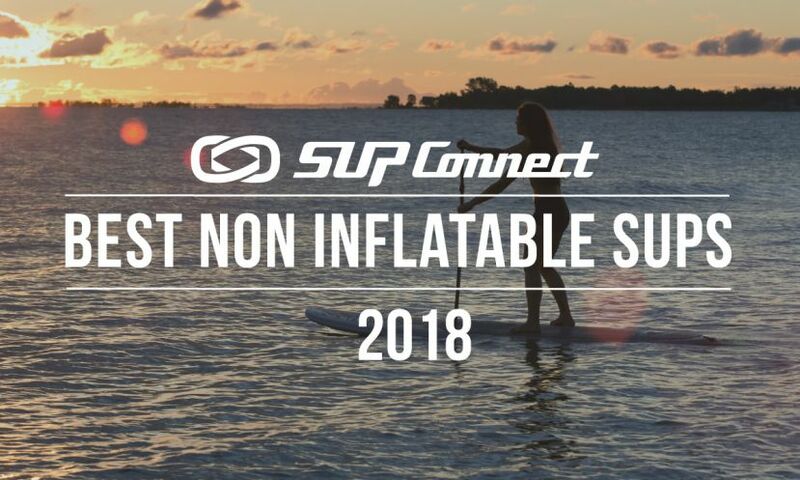 The Supconnect team traveled across 3 states and spent 8 months individually assessing each one of the inflatable SUP boards below, counting a total of 23 metrics per board and consistently applying them across all products. 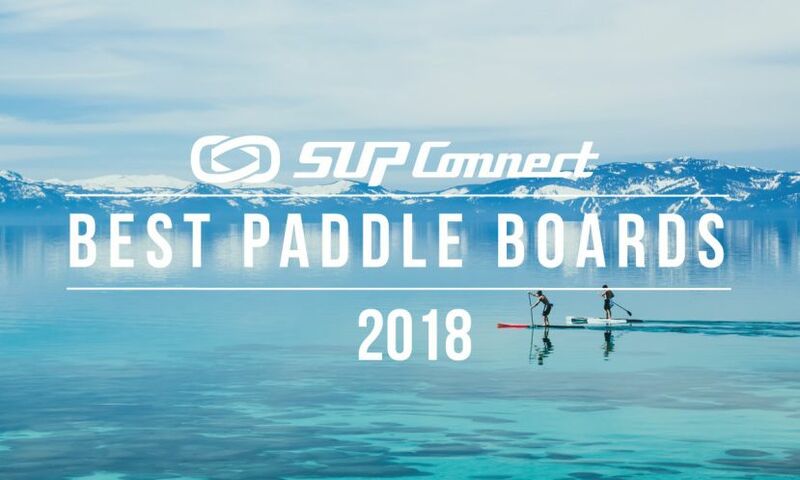 The end result: simply the most comprehensive, consumer-friendly, value-added review platform in the standup paddle world. Click through each one of the reviews and find a consistent, in-depth assessment of each product listed. 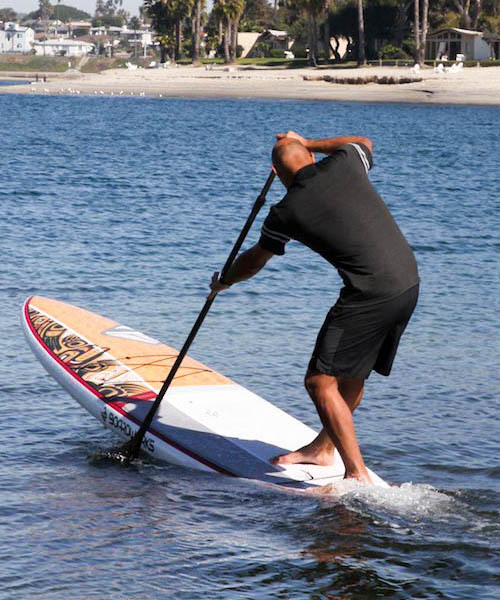 Non-inflatable paddle boards come in various constructions, with most of them falling into three broad categories, plastic, epoxy, and carbon, each with its own pro’s and con’s. 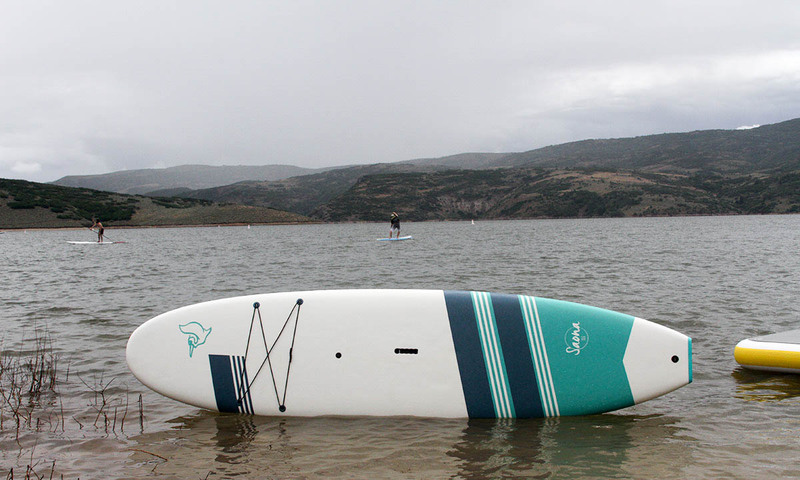 Plastic: SUP boards made of plastic tend to be highly durable and affordable, but lacking in performance and in looks. Nearly all plastic stand up paddle boards can take quite a beating and withstand lots of abuse, whether it’s exposure to weather or misuse by owner. And most of them price under $1,000 (USD). On the down side, they normally are quite heavier than their counterparts, weighing 30+ lbs (13.60+ kg). 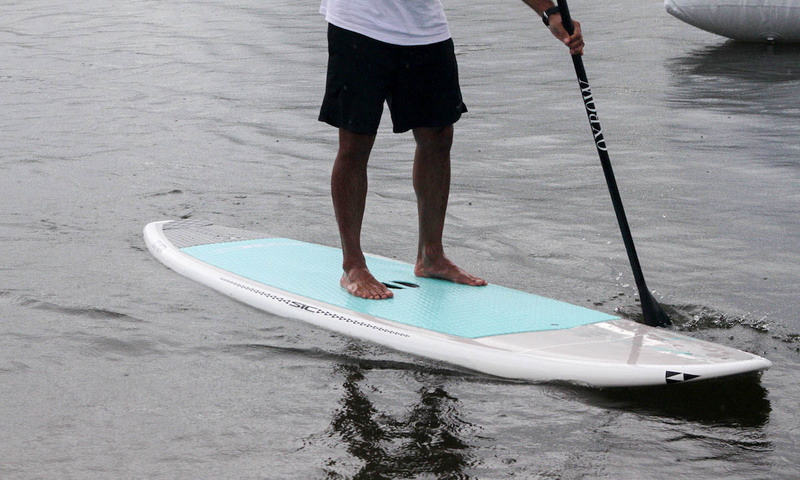 Some of the higher-price point plastic boards can be lighter but much like almost all plastic paddle boards their looks are quite bland, with simple color schemes and graphics. 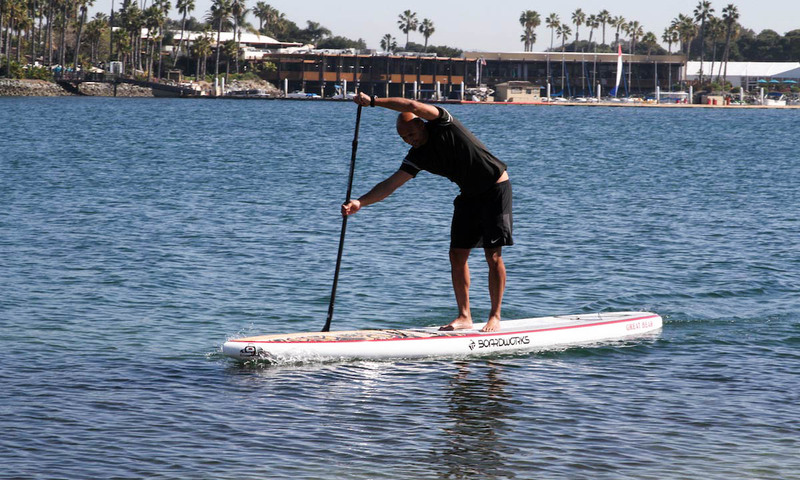 Epoxy: Paddle boards generally have three main components, a foam core, resin, and fiberglass. The most widely used resin is epoxy, which now has proven to work quite effectively with multiple foam cores and tends to yield the lightest-weight boards. Epoxy boards can have countless layers and variations of foam core and fiberglass, so the fact that a paddle board is made of epoxy, it does not necessarily make it a more premium board. There are plenty of subpar epoxy boards in the market, which are very heavy (35+ lbs) without the benefit of increased durability. But as a rule of thumb, an epoxy paddle board weighing 25-30+ lbs (11-33 to 13.60+ kg) will likely perform better than plastic but still not quite as well as carbon sup boards. 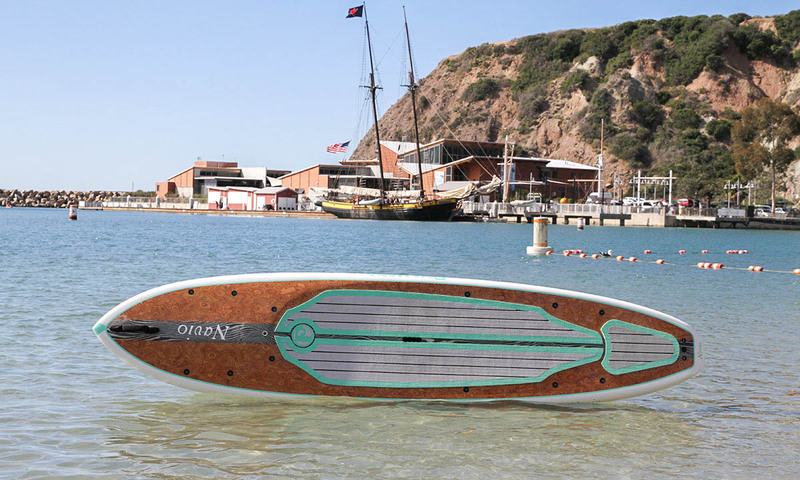 Carbon/Wood/Other: Carbon paddle boards tend to be the highest-performing boards in the market. They are lightweight and more easily display the desired flex patterns. Their main objective, though, is not durability. In fact, carbon sup boards should be treated quite carefully, as delicate and premium gear. The goal of a carbon board is performance: better glide in the case of race and maneuverability in the case of surf, for instance. 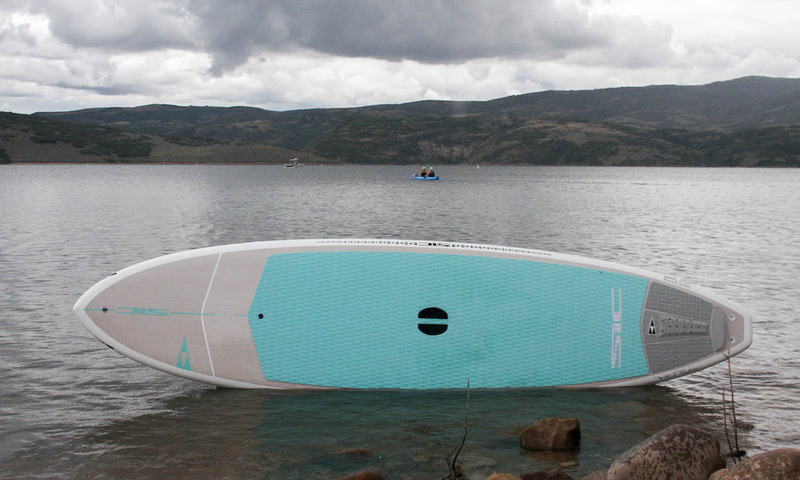 By adding carbon, there is less use of resin and fiberglass, typically making the sup board more light-weight. 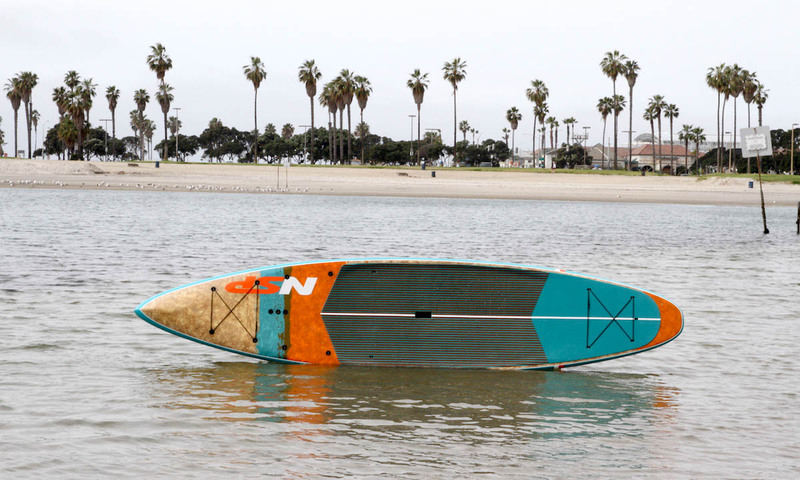 Carbon, however, tends to be the most expensive sup board in the market. Alternatives to carbon, which also reduce weight and boost performance, are wood inlays, like bamboo and others. These composite constructions normally deliver the highest quality boards but also with the higher price-tags. 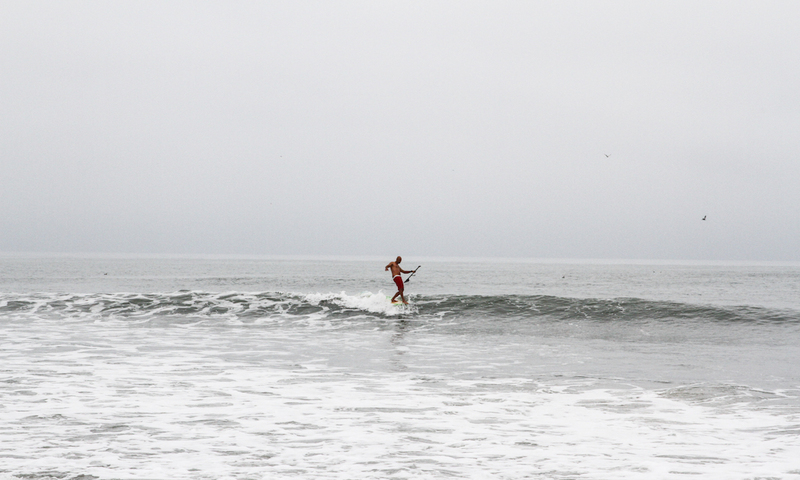 Add-on’s are accessories for a paddle board that add to your experience on/off the water. The quality of the bag/backpack and the air pump tend to be directly related to the board’s price points. Aside from your paddle, bags and pumps are the most important add-on’s to your board and can drastically improve your overall experience with the board, such as helping you more easily carry the board and/or pump it up more quickly. Other popular add on’s include bungee cords, a minimalist way to haul things; Connexsup, which allows for all sorts of attachments, even fishing rods; and FCS II/Connect, for easy fin instal. Other add on’s could be upgraded handles like the Liftsup & EZgrab and paddle holders for when you aren’t using your paddle. In a collaboration with Prana, the Aleka boards from Surftech are gorgeous, in fact the women can’t control themselves raving about it. That’s enough to earn an A-grade. The board does come in two sizes with each size having a different set of graphics, both equally stunning. If you’re concerned about floatation you’ll definitely want to get the larger one. The bigger size will float you better. 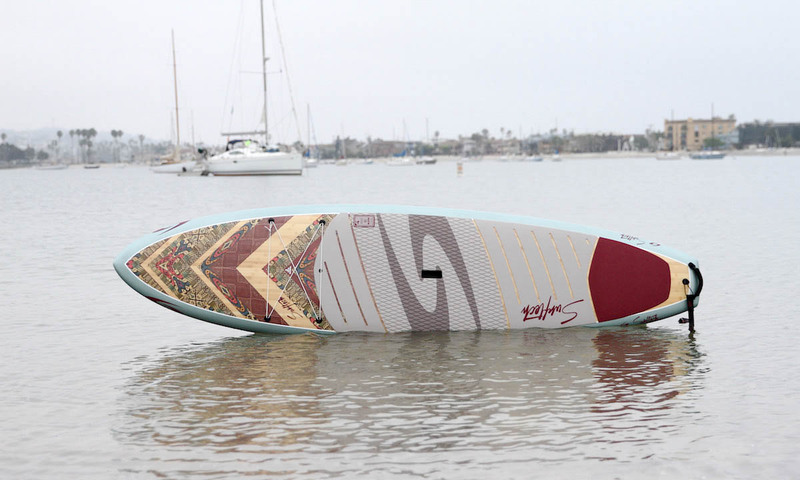 It’s a fairly lightweight board to carry, which is great for the women’s market and in terms of graphics it has beautiful color coordination with the paddle and the leash so it’s just an all around gorgeous package. If you want to make a fashion statement and have a nice board that is touring with a touch of all around to it, than this is the board to get. Use: All-Around Skill: Beginner Sizes: 10'4", 11'2"
Use: Surf/All Around Skill: Beginner Sizes: 10'6", 10'10", 11', 11'4"
The Navio is not clearly a flat water board, it’s not clearly a touring board, it’s a combination of both. It comes with the best in class of everything you can think of. It has a beautiful deck, and just beautiful graphics all around. It has a lot of add ons too, so if you want to have your iPad mounted on it, a GoPro, maybe a gps, a fishing pole, a cooler, you name it, you can strap it onto this board. It is highly stable and also tracks really well. 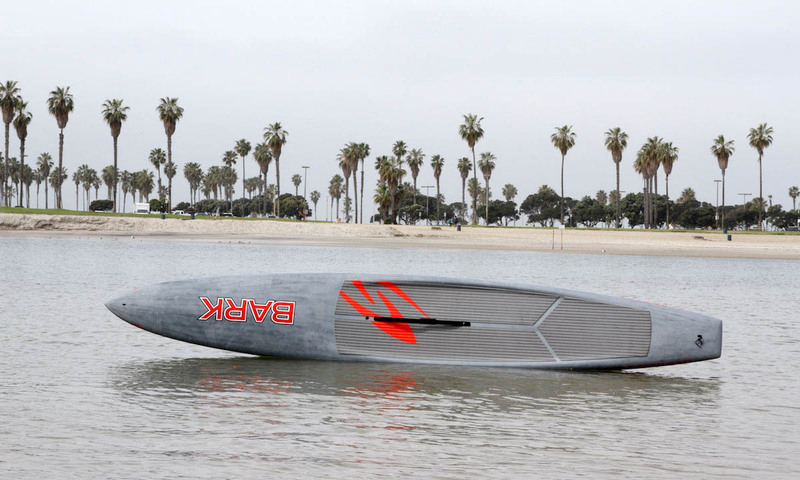 It is fairly lightweight for the type of board it is, so phenomenal job by Pau Hana. 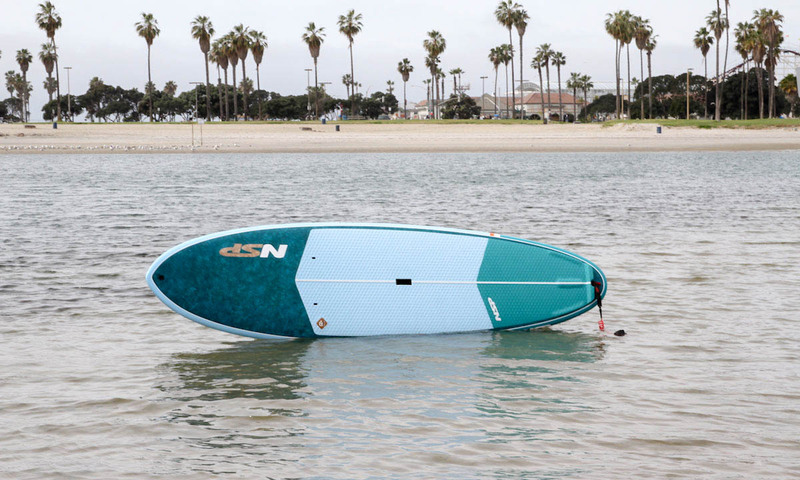 If you are looking for a primarily touring board that can be very comfortable paddling on flat water, maybe to play around with your family and have kids on the board or some gear for the expedition, the Navio is a great choice. 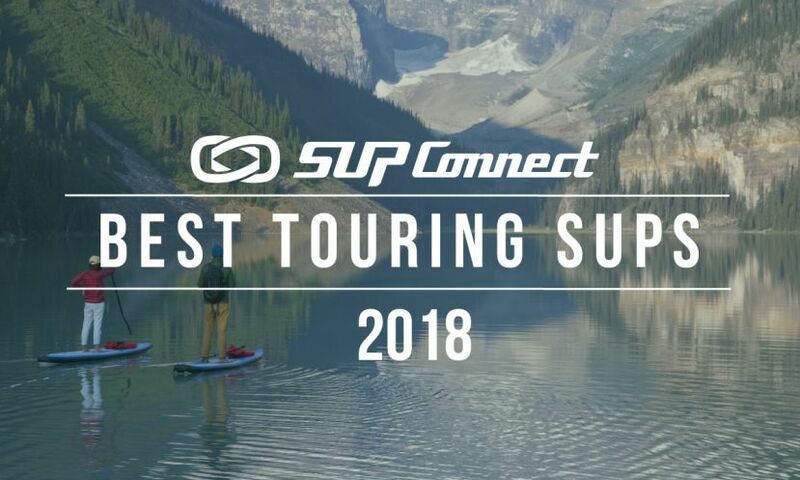 If you’re looking for a best in class all around board look no further because the Supconnect Award-winning Surftech Generator is it. 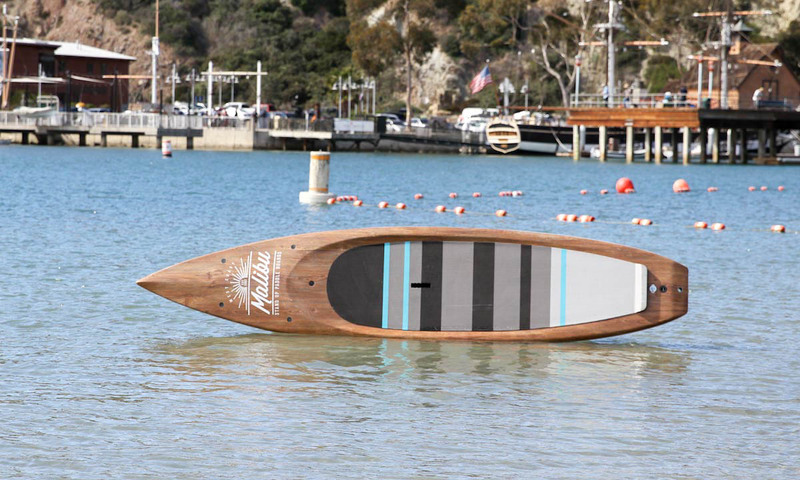 The flatter rocker makes it a pleasure to paddle and it has stunning graphics, with a beautiful bamboo layout on both the deck and the bottom. The board is just a really good combination of color coordination between the traction pad and the color on the board, rails, and graphics up on the nose. It’s an excellent all around board, something that you can even put up on a wall to display. Use: All-Around Skill: Beginner Sizes: 10'6"
At $499 it’s tough to beat this deal. 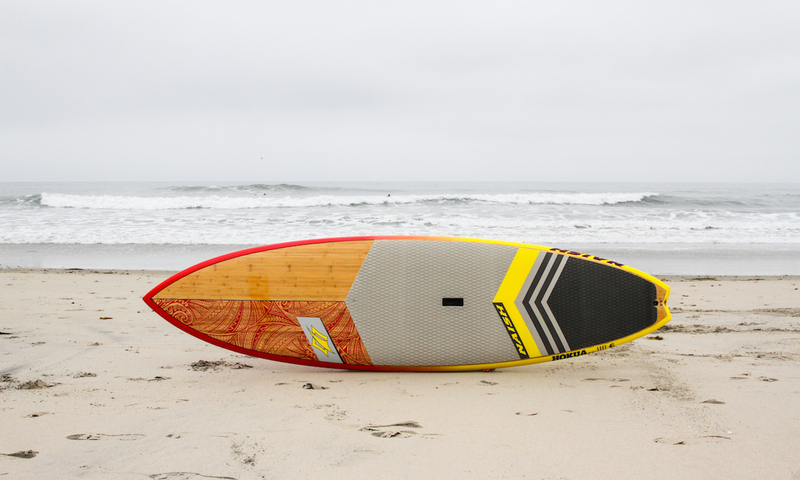 The Pelican Saona is a paddle board with a foam construction and has classy graphics, better than any foam board that we’ve seen on the market. 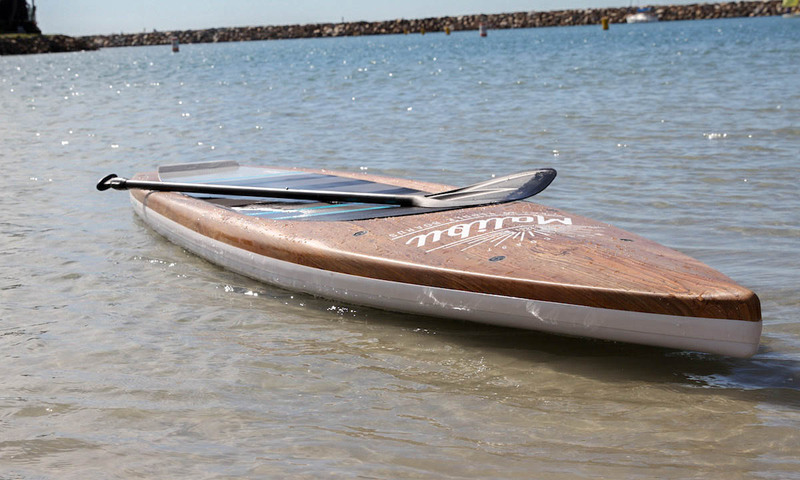 It paddles fairly well and with its foamy construction it can definitely take a beating both in and out of the water. If you’re looking for something that won’t cost you a lot, and can be used by the entire family this is something that you should be looking at. The folks at Pelican have done a phenomenal job on this one. 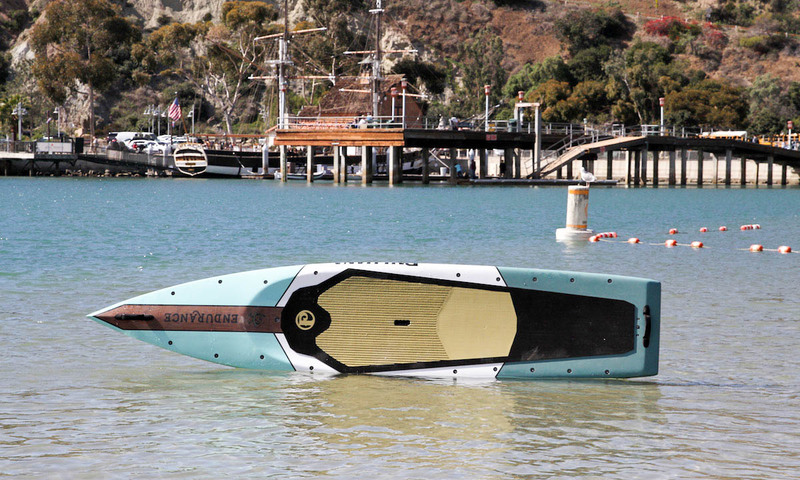 The Pau Hana Malibu is a plastic paddle board that has changed the concept of plastic boards. Plastic boards to date have dealt with a number of challenges. One, the graphics tend to be very plain, usually just white boards. Two, they don’t have a really nice finish and tend to have a seam that goes all along the rails on the both sides. Three, they are quite heavy. And four, they also don’t float as well as composite boards, normally. The Malibu changes all of that. 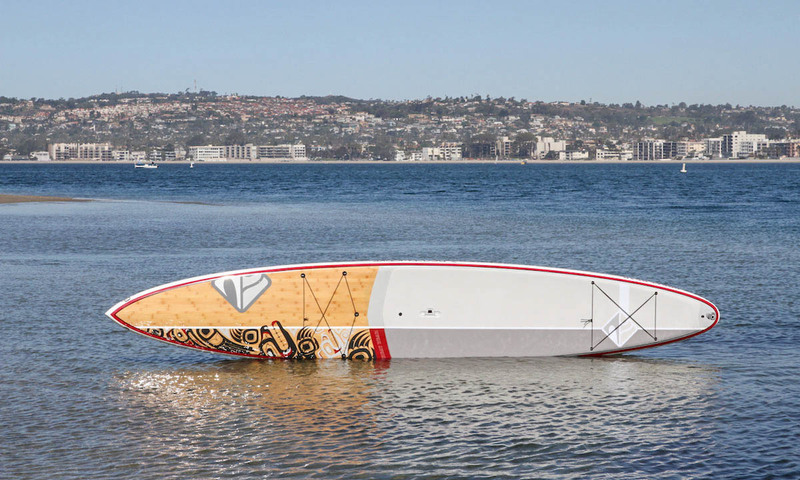 In fact, the Malibu is the plastic board that can fool you into thinking you are paddling a composite board and to boot it looks stunning. 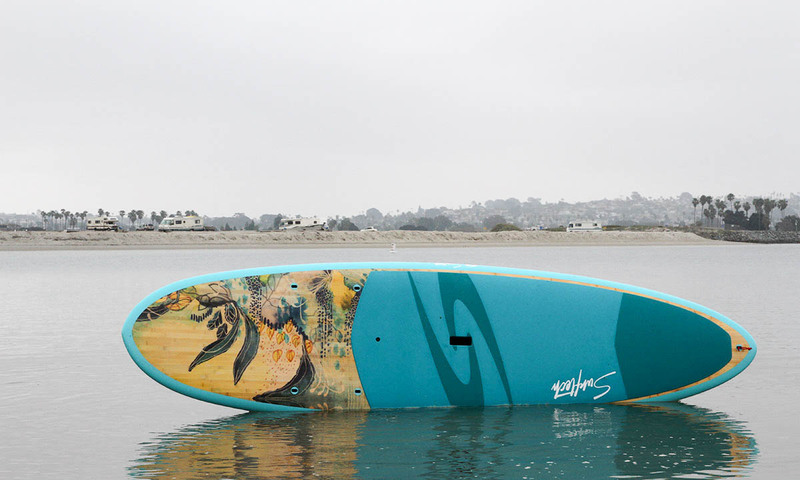 Pau Hana has done a really great job and at the price point it comes at it is an excellent board and a great buy. 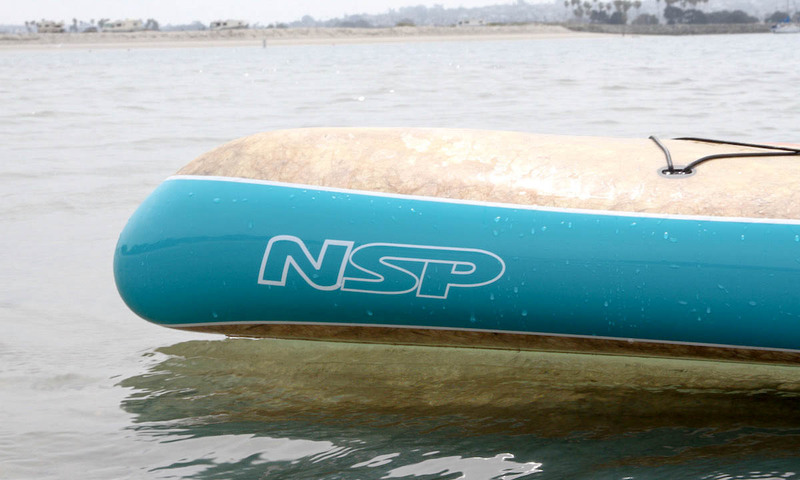 The Cocomat Allrounder from NSP is a great board for SUP surf beginners who might also want to try to do some flat water or touring. 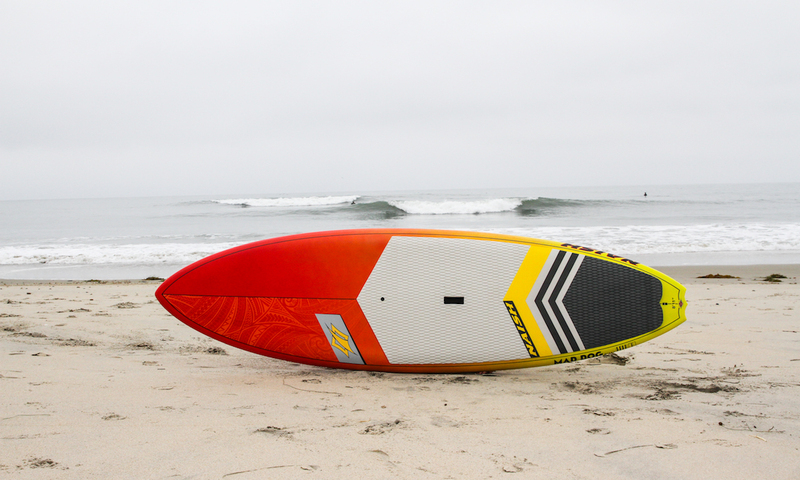 While the board is dubbed the ‘Allrounder’ it’s definitely more of a surf shape and is a great, beautiful board for someone who is looking to get into SUP surfing. It will definitely work well as an all around board as well as the board is wide and stable. The graphics on the board are really eye catching with the bright blue colors mixed in with their eco-friendly Cocomat material and the contrast with the lighter blue on the traction pad looks awesome. 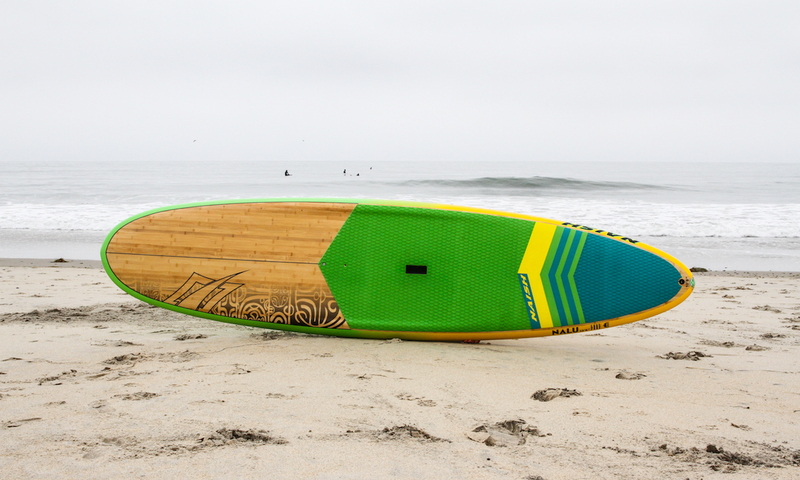 The Naish Hokua is a great all around surfboard. It has a flatter tail than the Mad Dog model, allowing for much flatter sections, allowing for more speed. You can pump through so if you live in a place where the surf is fairly soft this is the board you want to have. It drives lots of speed, it is fairly stable, and it looks stunning as well. The Hokua is fairly lightweight for that type of board with its strong construction that it comes with. It’s a phenomenal board if you live in Southern California, or in a place with a bit softer surf wherever you are but is a great all around board that can also pump a bit more aggressively in faster surf. Defintiely deserving of an A-Grade. 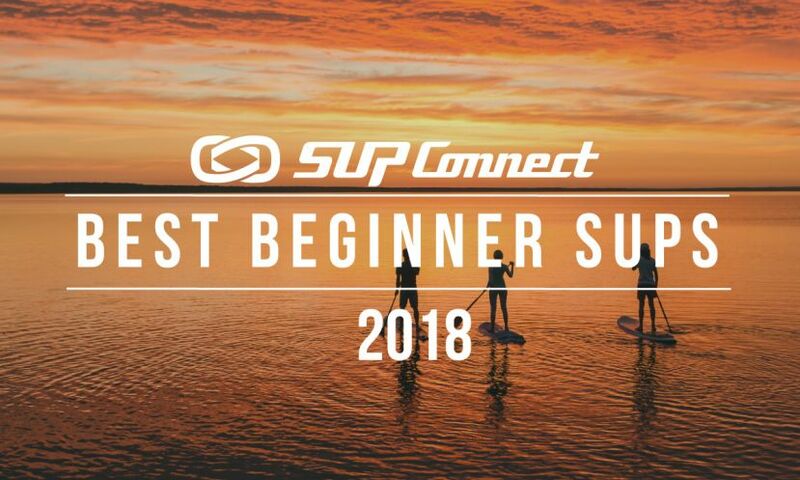 Use: Surf Skill: Intermediate Sizes: 7'10", 8'1", 8'6", 8'11"
To look through the 110+ boards reviewed for 2018 click HERE.